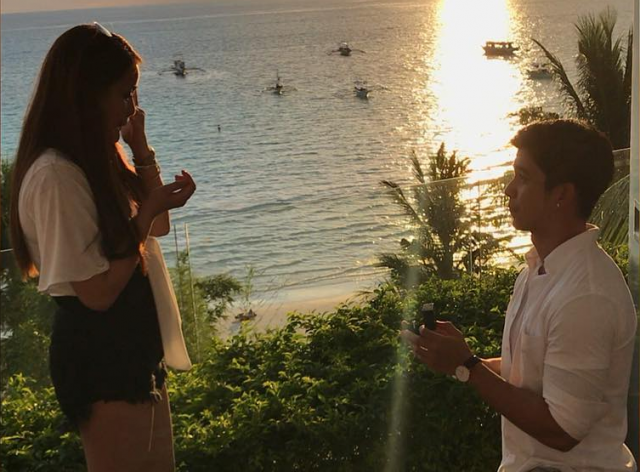 Rodjun Cruz finally proposed to Dianne Medina, his girlfriend of 11 years. The couple, together with Rodjun’s family, recently went to Boracay to celebrate his 30th birthday. It was during this trip when the said proposal took place. The actor excitedly shared the good news on his Instagram page. Dianne also posted about the special moment using her own account.